It is said that the Hawaiian Islands were created when Maui, an ancient Polynesian god, went fishing and used a magical hook to pull them out of the ocean. 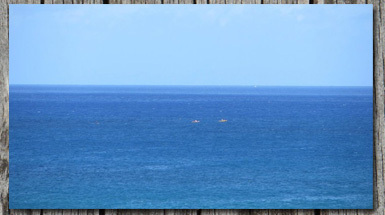 It is little wonder that fishing is featured in many of the legends and proverbs of these verdant Pacific islands. After all, fishing held a central role for the ancient Hawaiians and seafood consistently served as the main protein in their diet. 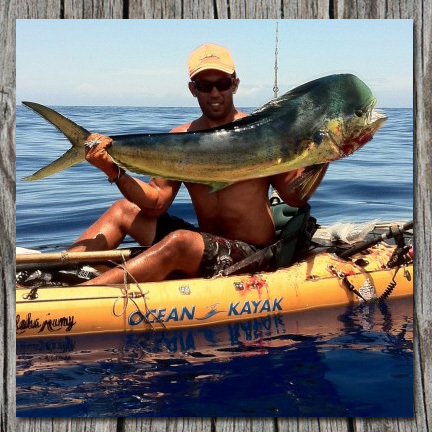 Isaac Brumaghiam has rediscovered the richness of his Hawaiian heritage after creating a kayak fishing club called Aquahunters. Like ancient fishermen and mariners before him, he can often be found pushing off from the safety of shore and plying the waters in a small, self-propelled vessel in search of giant fish. 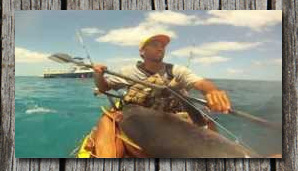 Isaac’s passion for offshore kayak fishing began when he started paddling in canoe regattas and, around the same time, developed an affinity for shore fishing. 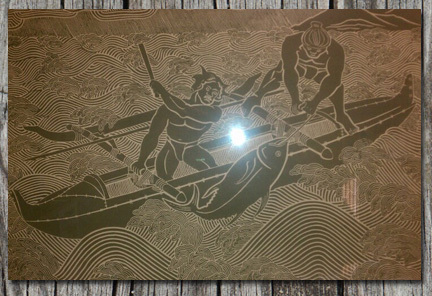 In time, he meshed the two together, and it was only later that he realized he had inadvertently rediscovered something very similar to the canoe fishing perfected by his ancestors. When Isaac started kayak fishing, he tried to educate himself on all the types of fish he could catch, and he used what he learned from shoreline fishing. Before that, he had mostly been “whipping” on the back side of the reef. Doing so, he caught plenty of good eating fish, which he was always happy to bring home to his grandmother, but he wanted to take the sport to another level. Isaac, now 36 years old, started Aquahunters in 2004. Born on the Big Island, Isaac now lives on the west side of Oahu and has been living in Waianae for four years. After its humble beginnings, Aquahunters has grown into an organization encompassing all of Hawaii. According to Isaac, the club has close to 200 diehard members who are on the water every chance they get. The club’s online forum has over a thousand members. 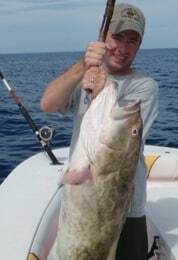 Learn more about Isaac and the club at AquaHunters.com. Gaffing Tuna in Florida Keys Canal?